Here’s a scary statistic* – over 45% of all corporate IT projects come in over budget. 33% of software projects blow past their scheduled completion date. In terms of wasting resources, that makes the corporate jet fleet look positively parsimonious. Examples include the CAD$11 million bridge in Montreal torn down after a year, the $49 million vehicle licensing project for California that was shut down, still not live, after 5 years and the £285 million the UK Government spent on the airport in St Helena that can’t be opened because of wind shear. * Yet, far too many times, the person in charge of these projects either doesn’t want to lead or is untrained to do so. We call them Accidental Project Managers. What has brought us to this? Drawing on expert help as needed, high-performing teams orchestrate all technical aspects of the project, including IT architecture and infrastructure, functionality trade-offs, quality assurance, migration and rollout plans, and project scope. The right team will understand both business and technical concerns. Project management, therefore, is vital to the success of large complex undertakings. Project managers have to be skilled not only in an Agile environment, with its radical transparency, nimble footprint and daily scrums, but they also have communications skills, intellectual rigour and a level of determination that borders on the fanatical. People seconded to this task from elsewhere in the organization – the Accidental PM’s in my title – tend to be subject matter experts more focused on the details, and so unlikely to have the required broad knowledge base and demeanour. So the organization can either maintain an underemployed PM, keeping him or her around for when the need is acute, or they turn to journeymen Project Managers, who can parachute in, with their own methodology and workflow ideas. Neither is a satisfactory solution, which is why our company has introduced Project Management as a Service, or PMaaS. Project Management as a Service builds on Gibbs Hybrid’s expertise in really going deep into a client challenge, developing tools, best practices and ultimately solutions for the business. With our PMaaS we don’t just introduce an experienced team of project professionals to a client. We surround that person with the skills and experience that the company has built up over the years, and we manage that engagement closely. Crucially, because it’s a service we supply it only when the client requires it. Say, for example, a fintech wants project management for a few days each week. Traditionally, that would be impossible because great project managers are in great demand and would be uninterested in such an engagement. 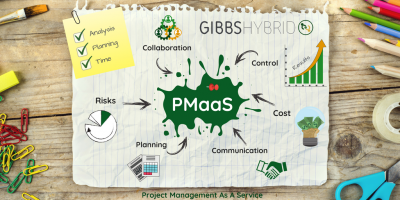 Our company’s project managers, however, are managed by Gibbs Hybrid, taking the headache of managing part-time resources away from the client. We can scale the time spent with an organisation to suit the client’s need – so when they are not working at one client, they are working at another, constantly improving their knowledge, skills and capabilities to bring richer experiences to each engagement. We see PMaaS as an antidote to the Accidental Project Manager, another anachronism from the pre-digital age. It’s time to move on. Farida Gibbs is CEO of Gibbs Hybrid, the single source supplier of technology, outsourcing and talent management. Based in Wallington Surrey, Gibbs Hybrid was founded in 2005 and now has additional offices in Manchester, Dublin, Gdansk, Luxembourg and New Jersey. Gibbs Hybrid offers a single source integrated solution with programme consultancy, talent, technology and outsourcing initiatives that drive customer success. 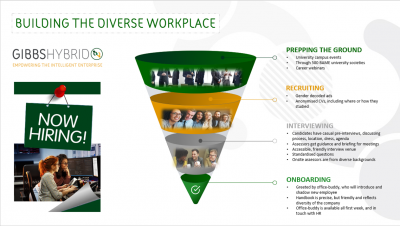 Gibbs Hybrid’s single source philosophy means that our three lines of business – talent management, programme technology solutions and outsourcing can integrate with each other, creating Hybrid capabilities, or stand alone as best-of-breed solutions. Offering this flexibility allows clients to engage with a single preferred partner for multiple services, thus addressing challenges of supplier rationalisation or vendor consolidation. Our service management approach helps to ensure that our quality remains high without compromising speed to market. We serve mid-market and Fortune 500 companies globally. Since its establishment in 2005, Gibbs Hybrid has grown to over $100 million in annual revenue with more than 700 employees, associates and consultants. We are headquartered in UK with offices in Ireland, Poland, Luxembourg, US and Canada.